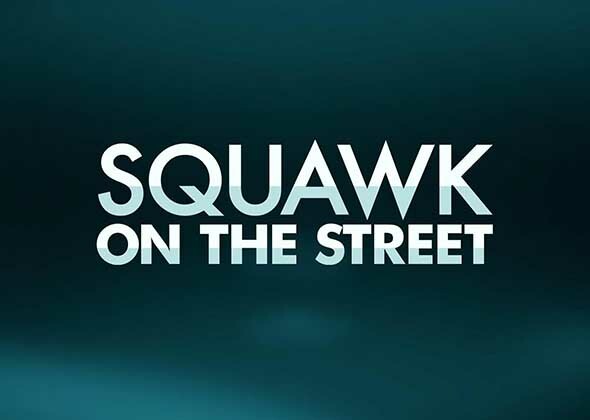 Squawk on the Street is headquartered live on the floor of the New York Stock Exchange. We are there when the all-important opening bell rings every day. Squawk on the Street is headquartered live on the floor of the New York Stock Exchange. We are there when the all-important opening bell rings every day. With our exclusive "Eye on the Floor" wireless cameras at the NYSE we take the viewer onto the floor of the exchange，right to the posts where the biggest companies in the world trade. In addition，our exclusive "Tick by Tick" charts track the action of every trade of every stock. Our live market coverage doesn’t stop on the corner of Wall and Broad Streets in lower Manhattan. We also have exclusive coverage from the floor of the CME Group in Chicago giving our viewers the treasury，currency and commodity action in real time. In addition，"Squawk on the Street" is also on the air when the closing bells ring throughout Europe. That final hour of European trading starting at 10:30am eastern has proven to be very volatile and has a major impact on all U.S. based markets.